A luxury photo booth experience. Unlimited photos. Unlimited 4x6 prints. Incredible Photo Quality. The Luxe Photo Booth experience is a memory maker! It's North Carolina's luxury photo booth. The booth itself is sleek and the photos it takes are of insane quality! It's like taking pictures at a photography studio. The Luxe Experience provides everything you need to make your party memorable and amazing... Fun props, the best backdrops, unbelievable photo quality, and unlimited 4x6 prints for all your guests to take home and enjoy! We use professional cameras, studio lighting, and edit every photo to make your photos look gorgeous! We only hire the best. Our photo booth butler will insure you and your guests have a kickass time using the photo booth! Like Oprah! Everyone in the photo gets a print to take home! You get a print! Everyone gets a print!!! The Best Props & Backdrops! We've got you covered with a great selection of gorgeous backdrops and super fun props! We're going to make you & your guests look like super models, as we have perfected the perfect photo booth image! Our photo booths are equipped with top of the line professional photography & lighting equipment that will make everyone look seriously fabulous. We've curated the best looking photo booth backdrops! Choose from our glam white, flat black, pink ombre, or black sequin backdrop! 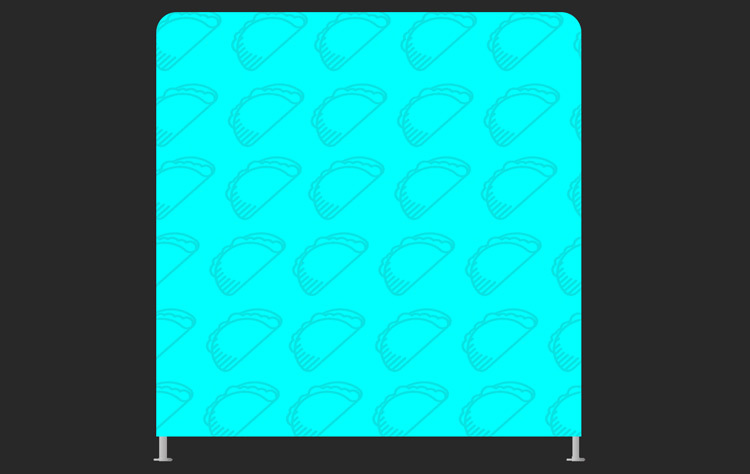 Click here to see sample images of all our backdrop options. If you want to make your photo booth experience super special, talk to us about creating a custom designed backdrop! Sometimes you don't even need a backdrop! We can setup our photo booth just about anywhere. If your venue has a super cool brick wall, mural, etc. Let us know as those make for awesome photo booth photos! Our booths have no walls! You could probably fit an elephant in our booth. We've been able to squeeze in 18 humans in one photo! All the photo booth images from your party are uploaded into a gallery where guests can download them within 48 hours of the event! Taco Photo Booth Co. has tons of customizable options. Your photo booth experience can be customized to fit in perfectly at any event! We share the high resolution photo booth photos with you after the event. You are hiring us to provide a luxury service. Why should you pay to have our logo all over the place? Our unlimited printing is powered by top of the line printers that print out photos within seconds at your event or party. Remember those crazy guests you invited to your wedding by turning their photo booth photos into a 20x30 memory collage masterpiece! Want something totally different from everyone else? We can work with you on designing a custom made backdrop that suits anything your wild brain can imagine! 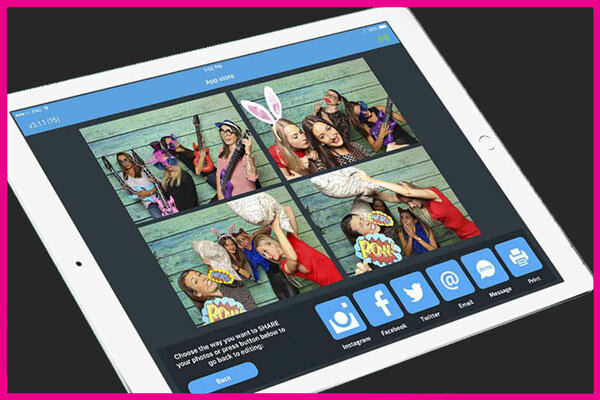 The social sharing station gives you and your guests an opportunity to share your favorite photo booth images to social media and to your emails instantly after taking a photo in the photo booth! Dates filling up quickly! Reserve your date today!